Site of the 2012 Ryder Cup, Medinah is an icon of golf in Chicago. 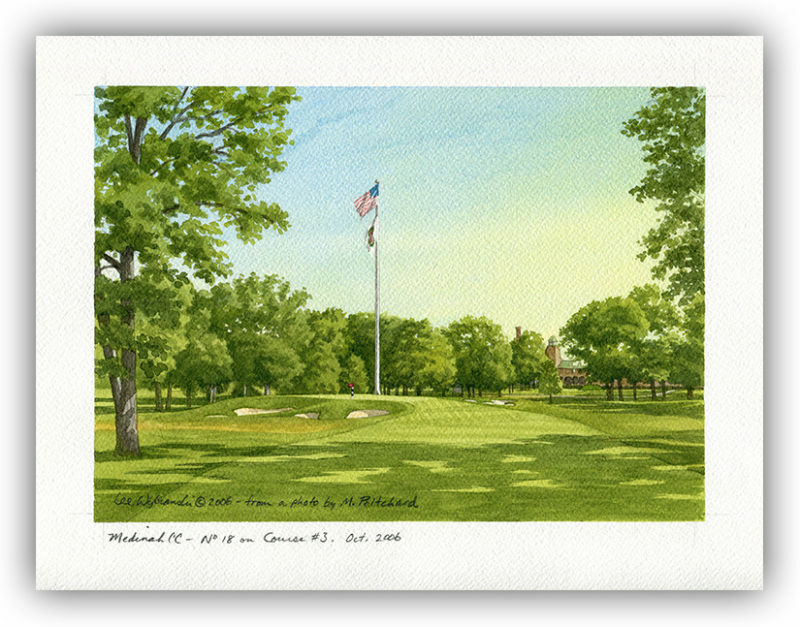 This elegant piece depicts the 12th hole. Watercolor on paper.